This episode of In will be hosted by Nicole Smythe-Joshnson, Senior editor and Art Writer of ARC Magazine. Nicole will be talking with independent curator Shantrelle P. Lewis about her methods in pursuing an independent curatorial practice and actualising curatorial projects. The conversation steams live Tuesday, December 3, 8:00 PM on the NLS Youtube Channel: http://www.youtube.com/channel/UCopVuxfYsATdTGLvH5Wa8VQ. Find out more about IN here. NLS, Creative Sounds and the Cove join forces to present Project 35 Volume 2, a curatorial project by Independent Curators International (ICI), New York that draws from ICI's extensive network of curators to trace the complexity of regional and global connections among art practitioners using the medium of video. 35 curators from 6 continents each chose one work for this compilation, showcasing a variety of artists’ takes on video art and short film. Project 35 Volume 2 is being screened in more than 30 venues around the globe in places as varied as Berlin, Germany; Cape Town, South Africa; Lagos, Nigeria; Los Angeles, California; New Orleans, Louisiana; Skopje, Macedonia; Storrs, Connecticut; Taipei, Taiwan; and Tirana, Albania, Port-of-Spain, Trinidad and now Kingston, Jamaica. The event takes place at the Cove restaurant and bar on Friday and Saturday, November 1 & 2, 6:30 - 9:30 PM. The Cove is located at 3 Winchester Rd, Kingston 10. For more information call 406-9771. More information about IN here. 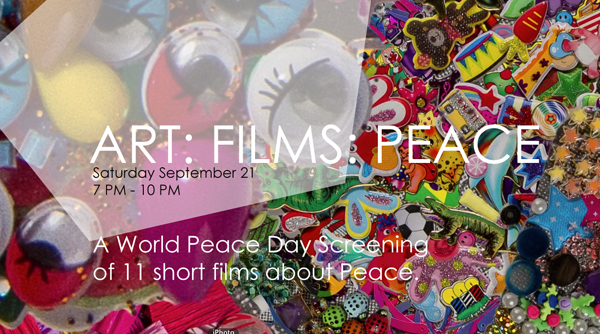 You are invited to ART: FILMS: PEACE, a screening on World Peace Day of 11 films by 10 artists and filmmakers that deal with the theme of Peace. With the support of PUMA and the National Gallery of Jamaica, New Local Space partners with Creative Sounds to present this year's films4peace commissions from PUMA by 7 acclaimed international artists, one of which is past NLS resident artist Wilmer Wilson IV, as well as films by 3 exciting Jamaican artists: Nile Saulter, Storm Saulter and Varun Baker. NLS presents the third iteration of "in", a series of live online conversations on Youtube and Google Hangouts with visual artists, art organizers and curators. 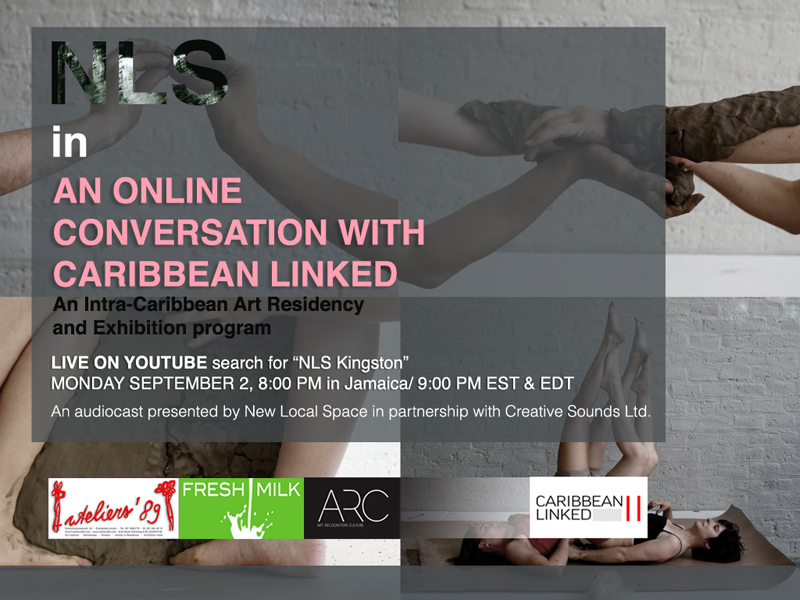 Tonight NLS director Deborah Anzinger will be talking about Caribbean Linked, an Intra-Caribbean Art Residency and Exhibition Programme, with Holly Bynoe of ARC Magazine, Annalee Davis of Fresh Milk, Elvis Lopez of Ateliers ’89 and artist Sofia Maldonado. NLS is pleased to add to the line up of film events this year a candid talk by NLS scholar-in-residence Terri Francis. 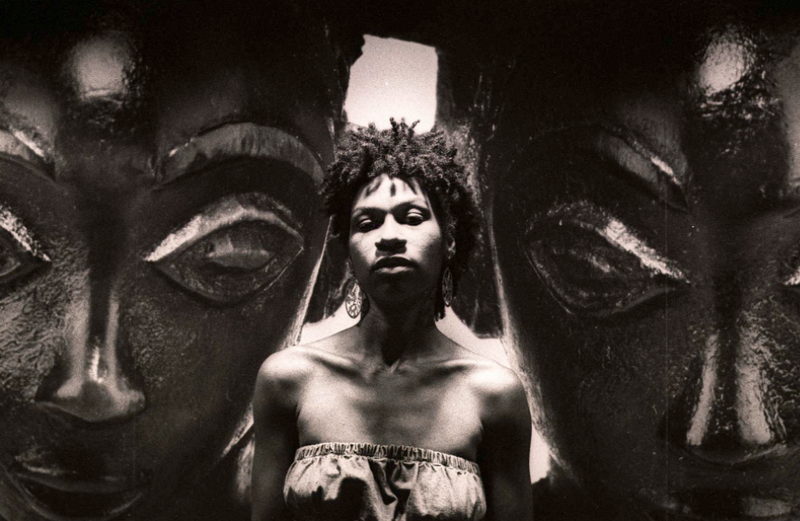 Terri Francis is Visiting Associate Professor in Cinema Studies at the University of Pennsylvania and former Associate Professor, Film Studies and African American Studies, Yale University. She will be introducing us to research she conducted and published recently in her paper “Sounding the Nation: Martin Rennalls and the Jamaica Film Unit, 1951-1961”. 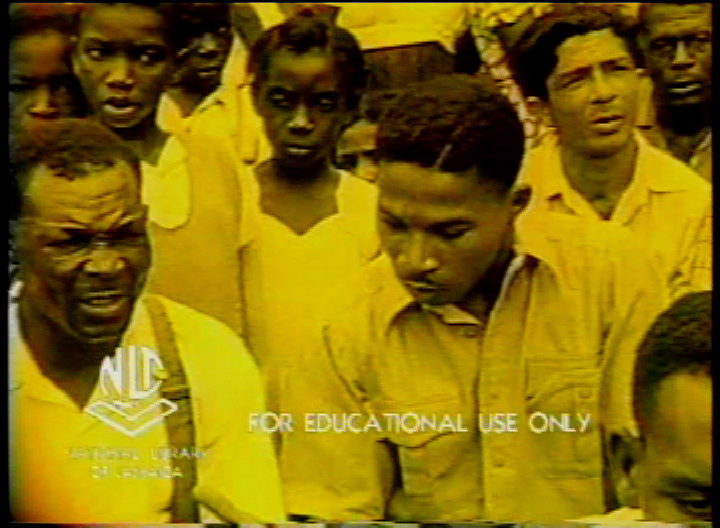 Francis will guide us in consideration of what this type of nonfiction, noncommercial, obscure, archival, film footage from the Jamaica Film Unit could mean for contemporary art practices. Please join us for Lagan, a solo exhibition of recent work by Wilmer Wilson IV made during his two month art residency at NLS. Join NLS for KOTE 2013. 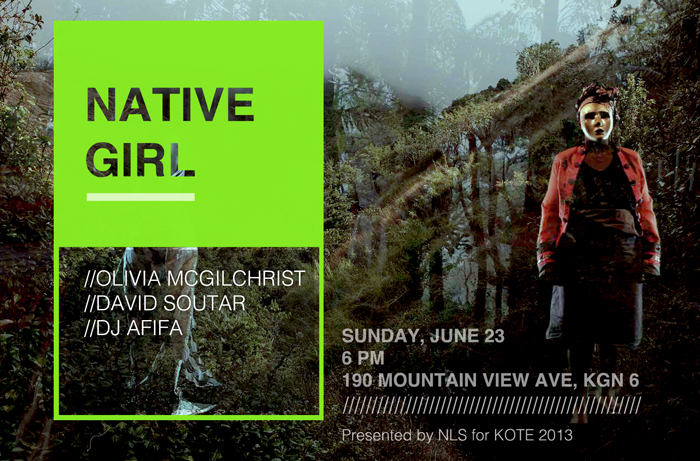 Olivia McGilchrist, David Soutar and DJ Afifa collaborate in an outdoor site-specific event that invites audience members to engage with live performances inspired by Jamaican mythical and legendary characters. The project combines experimental video art, sound and interactive design. 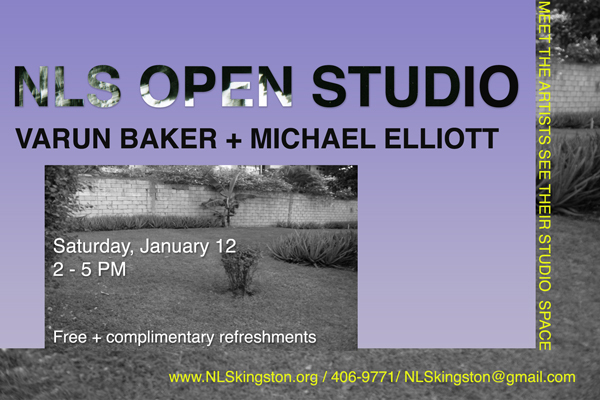 An open studio for Wilmer Wilson IV's residency will take place in conjuntion. 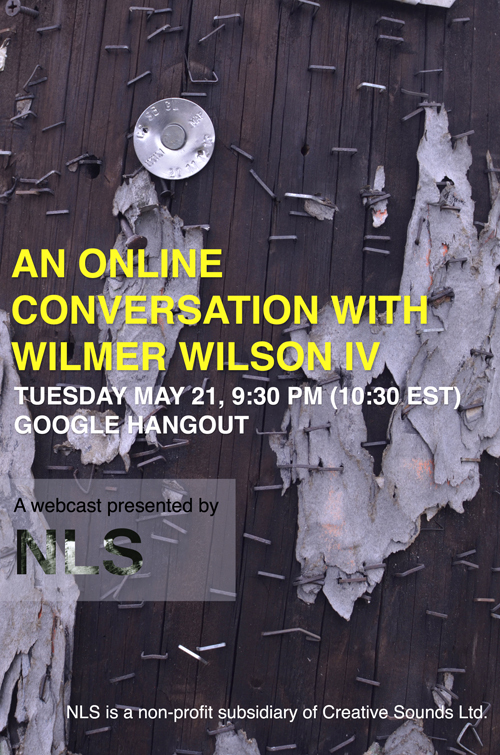 Please join us for an online conversation with artist Wilmer Wilson IV, who has been accepted for the 2013 NLS summer art residency. NLS founder Deborah Anzinger will be speaking with Wilson about his art practice, residency project, future plans and Kickstarter. The conversation takes place online tomorrow, Tuesday, May 21 at 9:30 PM (10:30 EST) LIVE on Google Hangout and NLS youtube channel http://www.youtube.com/channel/UCopVuxfYsATdTGLvH5Wa8VQ, where it will be archived. 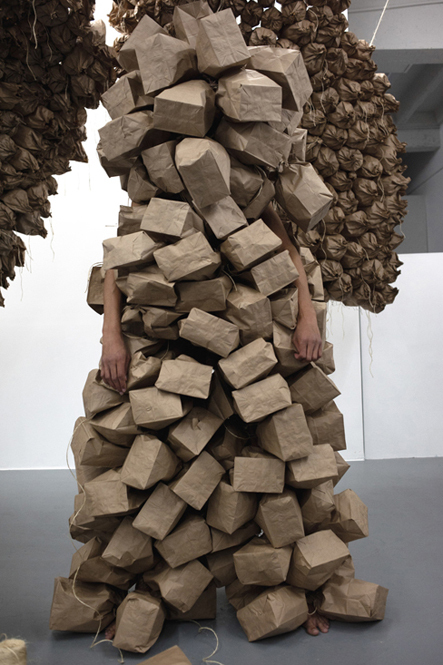 Above photo of performance "From My Paper Bag Colored Heart" at CONNERSMITH. Image courtesy the artist and CONNERSMITH. 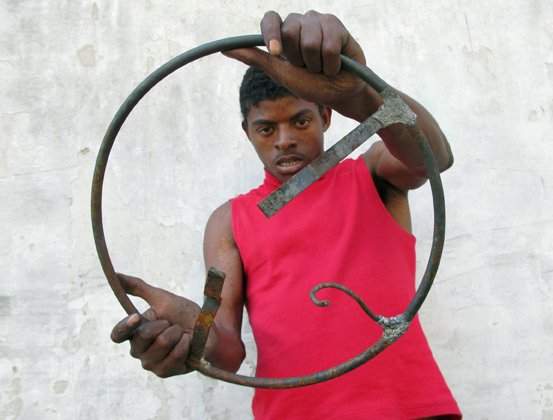 Please visit our Kickstarter and help us reach our funding goal for Wilmer's residency. 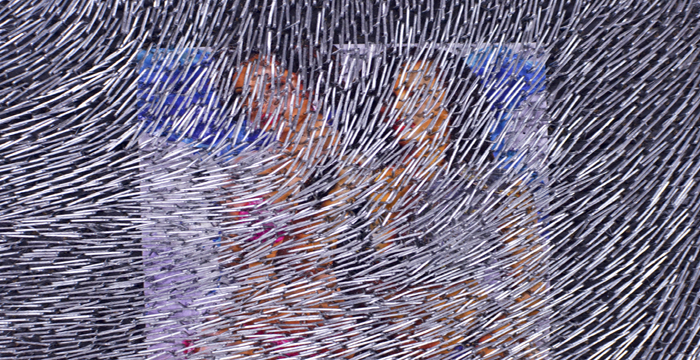 NLS is pleased to invite you to an artist talk by Shoshanna Weinberger. 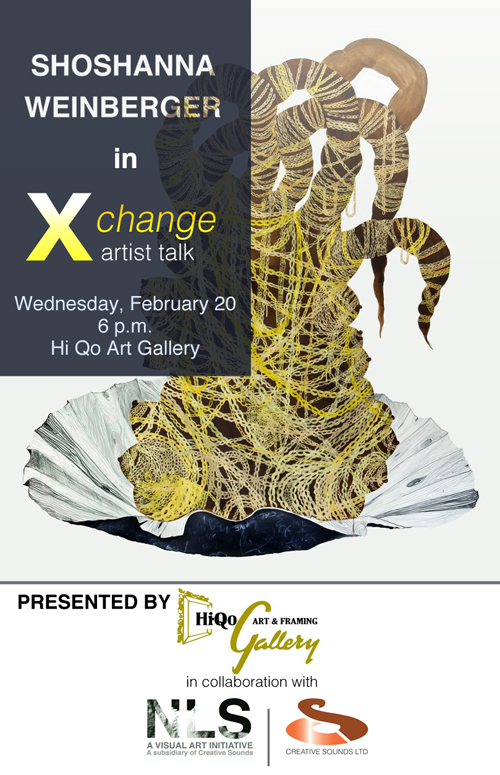 The event will be presented by Hi Qo Art Gallery in collaboration with Creative Sounds Ltd and NLS and is the first artist lecture in Hi Qo's new artist-based series ‘XChange". Rodell Warner + DJ Afifa: "BINARY SOLVED"
NLS is excited to present Binary Solved, an experimental visual-sound intervention by DJ Afifa and Rodell Warner over the course of two nights. 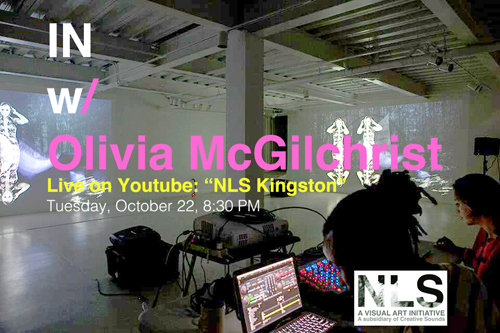 Rodell Warner and DJ Afifa collaborate to create an interactive sound art installation for the NLS 48 Hour Residency. Warner and Afifa use the two-day format of the residency, to play with and attempt to blow perceived dichotomies of existence. Binary Solved is an undertaking by the two artists to link the real with the imagined, the other with the self, the digital with natural, and, ultimately, existence with freedom. Each night of the residency performance functions as a counterpoint/contrast to the other.